Founded in 2005, Shree Varananditha Enterprises built a strong reputation by supplying the World Markets with high quality imported industrial tools and office supplies. Through the expertise, leadership, and vision of our founder, Mr.P.Chandra Sekhar, we established strong relationships with major Product Manufacturers, Exporters, and distributors. This success and our growing reputation led to opportunities for expansion in the early 2010, as Shree Varananditha Enterprises is now well diversified and, apart from a wide range of industrial tools and office supplies, includes security surveillance equipment, consumer electronics, electrical and electronic components for our Industrial and commercial OEM customers. Using strategic sourcing methodology and our long-established worldwide connections, we are able to provide our customers with superior quality industrial tools and office supplies used in various sectors and organizations. Shree Varananditha Enterprises have grown leaps and bounds by taking customer-centric approach backed by high quality service and have grown into a strong and established company with the capability of flourishing and overcoming challenging economic environment. We are passionate about our clients and back it up with the best service. Our team members are the heart and soul of our business.Our team's guiding principles are integrity, respect, teamwork, achievement and innovation. These key principles describe our culture and help us achieving our vision. 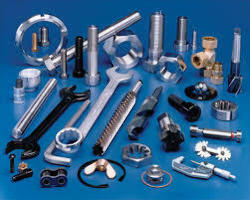 The company’s head office is based at P.No.560, d-1, secretariat colony, Manikonda, Hyderabad, Telangana State, India. We are consistently making sure that we source bulk quality products which in turn ensures that they meet our customers’ expectations. Our company will continue to be our clients supplier of choice by delivering quality products at the wholesale price. We appreciate feedback from the market on our quality, range and service. We are constantly looking for improvements and your views are important to us. 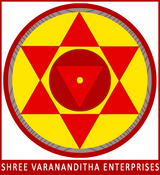 Shree Varananditha Enterprises P.560, d-1, secretariat colony, Manikonda, Hyderabad – 500 089 Telangana State, India.